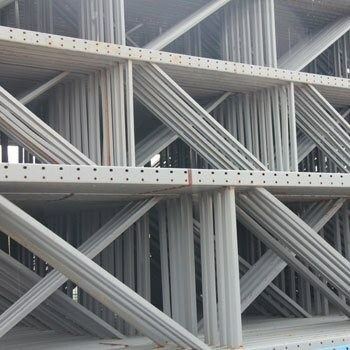 Have a Pallet Rack question? 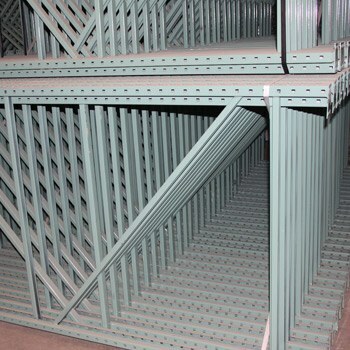 Uprights connect to pallet rack beams to create a pallet racking storage system. 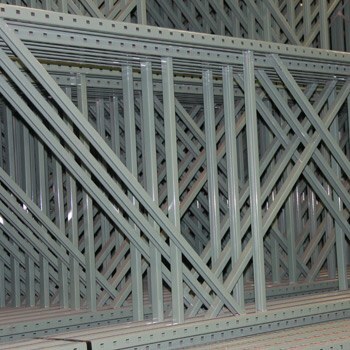 Two uprights are required to make one selective pallet rack bay. 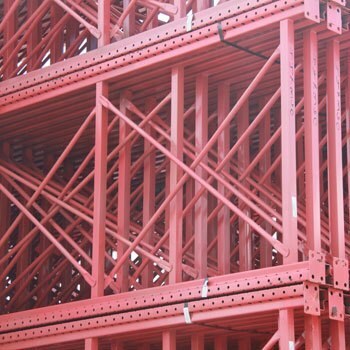 Uprights are the vertical towers that are connected by pallet rack beams to create a sections of selective pallet rack. 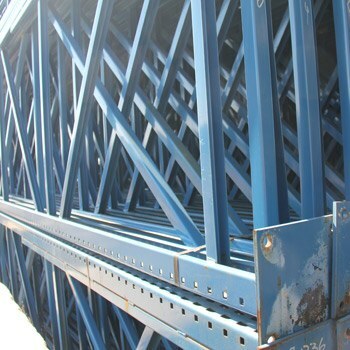 Pallet rack uprights come in a variety of shapes & styles. 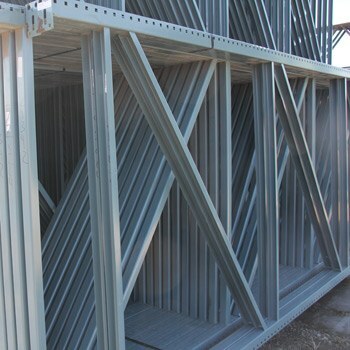 Uprights range in height and width to suit the space that you have available to store your material. 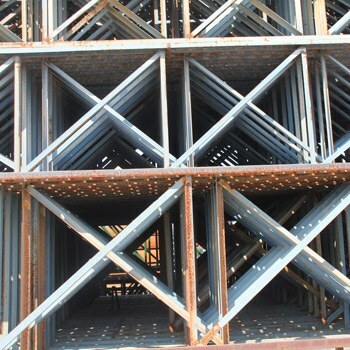 Teardrop is the most common style of upright in the industry followed by several less universal styles such as new style, keystone, Ridg-U-Rak and structural rack. The width of the upright depends on what you are storing on it and the weight of your product. 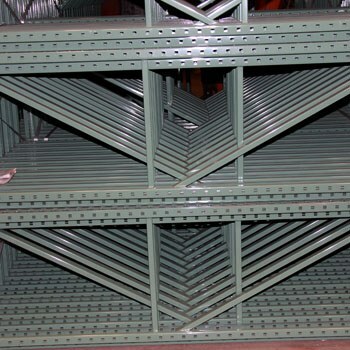 When purchasing pallet rack uprights be sure to know your warehouse layout (WH1 offers help with your layout). 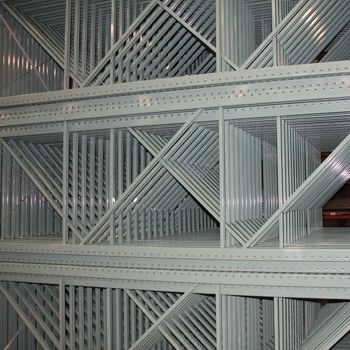 One bay of pallet rack consists of two uprights connected by four beams (Unless more beam levels are needed). 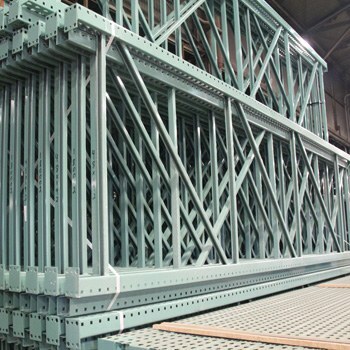 You would add one additional upright connected by four beams (depending on upright height) to an existing bay of selective pallet rack to create a new bay. Q. 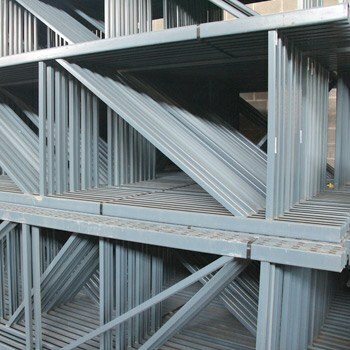 Is the capacity rating shown on a pallet rack upright product page the capacity for one upright? A. No, because it takes two uprights to create a bay of pallet rack, the capacity is communicated per bay. 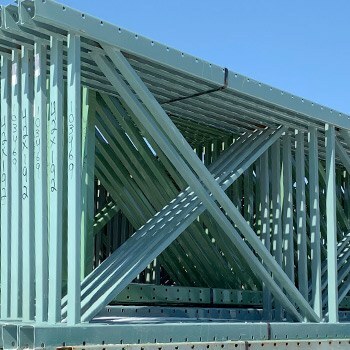 For example, if you see an upright capacity of 20,000 lbs, you can generally install up to 4 beam levels at 5,000 lbs each, if the loads are evenly distributed at standard beam elevations. Q. 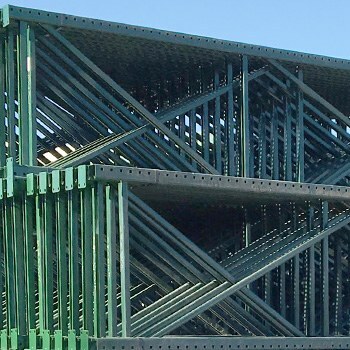 Will the location I install the beam levels affect the overall capacity of the bay? A. 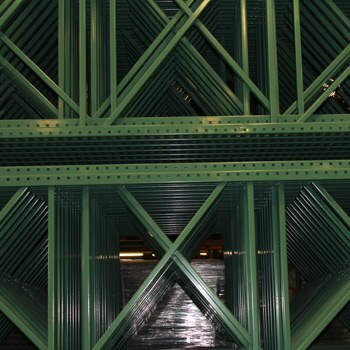 Yes, it is common for the capacity ratings to be communicated using 48” beam spacing starting at the floor. 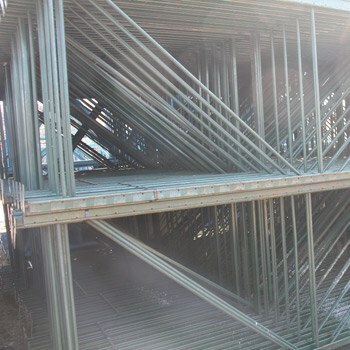 If you need to space the beams further apart, the capacity of the bay will be less. Q. What do I need to consider when buying uprights? A. 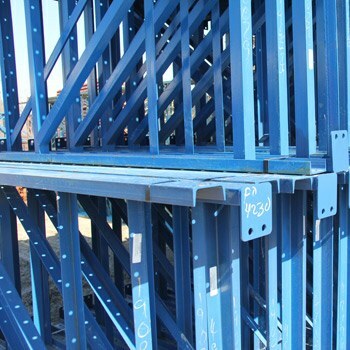 There are several things to keep in mind when buying uprights. Future growth. 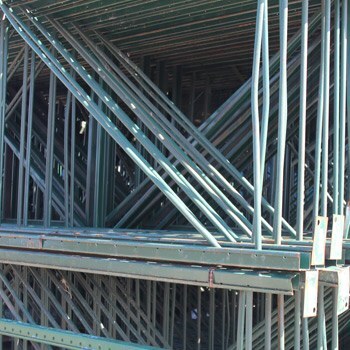 It is often more cost effective in the long run to buy taller uprights than you actually need if they will fit in your facility for future storage. We take down short uprights and install taller uprights every day for customers that want to save money upfront. Size of your product. 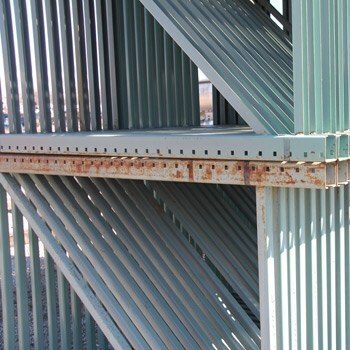 We have uprights ranging from 24” deep all the way up to 72” deep, depending on your needs. Your location. 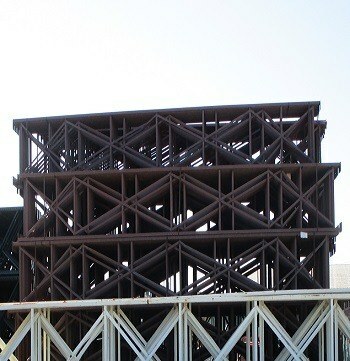 Some areas of the United States require oversized footplates and/or additional bracing for seismic considerations. Q. 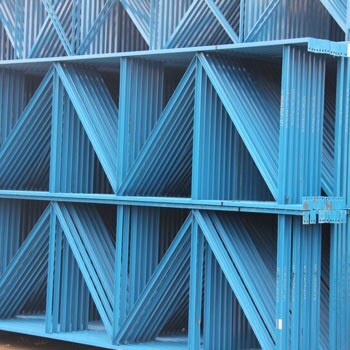 What depth upright is best for pallets? A. 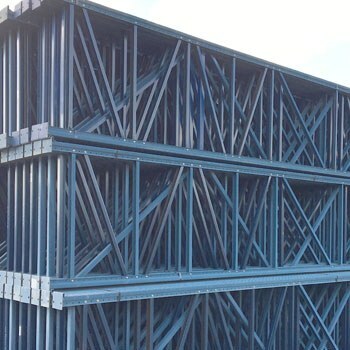 It is often more cost effective in the long run to buy taller uprights than you actually need if they will fit in your facility for future storage. We take down short uprights and install taller uprights every day for customers that want to save money upfront.